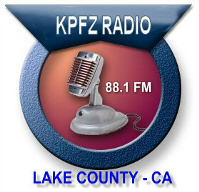 "Inside Out" was launched on KPFZ in 2001 as an interview and talk show on psychology, philosophy, metaphysics and alternative healing practices. The one-hour live conversation reflecting personal and public perspectives from the inside out airs live every Wednesday from 2:00 pm until 3:00 pm, and is rebroadcast on Mondays at 1:00 p.m. We use call-ins only on selected shows, as they tend to distract from the impact of the interviews. Other series and shows have included, "It's Your Business" (interviews with business and professionals in Lake County); and "Surfin' the Casbah", interviews by Skype with Jesse Aizenstat, as he traveled throughout the Middle East with his surfboard. In March, 2009, “Inside Out” initiated a series on the “DNA of Carl Jung”-- conversations about Carl Jung and depth psychology with outstanding Jungian analysts, therapists, researchers, writers and teachers. Stephen Aizenstat, Ph.D., Founder and President of Pacifica Graduate Institute, (specializing in depth psychology) launched the show with his book, Dream Tending; and reappeared after publishing Imagination and Medicine: The Future of Healing in an Age of Neuroscience, coedited with Jungian Psychoanalyst Robert Bosnak, who pioneered a radically different methodology called, “Cyber Dreaming,” based on dream and alchemical research. Professor Bosnak was also interviewed on the show in 2010. Stephen Aizenstat, Ph.D., Founding President of Pacifica Graduate Institute. Robert Bosnak, a Jungian Psychoanalyst who pioneered a radically different methodology called, “Cyber Dreaming,” based on dream and alchemical research. James O'Dea, Director of Amnesty International's Washington, D.C. office, former President of the Institute of Noetic Sciences, and author of Creative Stress. Fred Arment, Founder and President of International Cities of Peace, author of The Elements of Peace; How Non-Violence Works. Eric Kasum, Founder of the Imagine Peace Conference 2011 (Berkeley, CA), author of Blue Print: How to Change the World. Aqeela Sherrills, who brokered a cease-fire between the Crips and the Bloods in L.A. that reduced crime and killing dramatically before launching an international program to reduce gang violence in inner cities. Dr. Eugene Tazo, author and lecturer on Ancient Christian Wisdom (2,000 lectures on line). Dr. Roberto Dansie, Founder of Cultural Wisdom, world expert on Mayan history and cultural diversity; and other international leaders, teachers and facilitators of individual, group and social transformation. Thomas Moore, writer/speaker, Care of the Soul, Writing in the Sand, and others (three interviews). Bob Henderson (Enterviews with Jungian Analysts, Vols. I & II). Lori Pye, Ph.D., Director, Institute for Cultural Change on Change as Perceived by Carl Jung. Dennis Patrick Slattery, Ph.D., and Jennifer Leigh Selig, Ph.D., Pacifica Core Faculty and co-authors/editors of Reimagining Education: Reviving the Soul of Learning. Rev. Megan Wagner, Ph.D., Bay Area Kaballah Teacher. Jesse Aizenstat, “Surfing the Casbah”, Journalist on the Middle East, BloggingtheCasbah.com. Siddhartha B. Shah, on Sacred Art and Sacred Space, a representation of gods and goddesses in Tibetan and Nepalese art. Ginette Paris, Ph.D., Pacifica Core Faculty, Wisdom of the Psyche, on suffering and The Sacrament of Abortion. The Soul in Grief: Love, Death and Transformation, on technology, loss and other soul questions, and The Wounded Researcher. Bill Attride, Depth Cultural Astrologer, New York City, on the Birth Chart of Carl Jung; the interface of great time cycles in current world conditions; world political and social projections and U.S interface; President Obama and other political influentials in American elections (semi-annual interviews). Alain DeSouches and Michael Stone, Social Activist and KVMR Radio Host, Nevada City, CA, and Carol Cole-Lewis, Social Network Consultant, Pachamama Alliance Spokesmen for Ecuadorean Tribe rainforest project, “Awakening the Dreamer"
Ruth Meyer, Ph.D., author of Clio’s Circle: Understanding History from a Depth Psychology Perspective. Jonathan Young, Ph.D., Founding Curator of Joseph Campbell Archives at Pacifica Graduate Institute and Founder/Director of Center of Story and Symbol on Integrity: the Soul of Ethics, Joseph Campbell, and “The Mentor and the Mentored and Peter Pan” (Puer and Puella). Patricia Katsky, Ph.D., Director of Depth Psychology and Core Faculty, Pacifica Graduate Institute and former President of Los Angeles Jung Institute, on “Becoming a Therapist: Individuation and Related Dreamwork”. Jacqueline Feather, Ph.D., Pacifica Graduate Institute, screenwriter and Jungian Analyst in training, Jung Institute of Southern California, Santa Monica, CA on “Memoirs as a Depth Psychology Process”. Lionel Corbett, Ph.D., Pacifica faculty, on “Depth Pychology and the Numinous”. John Beebe, M.D., Jungian Analyst and former President of San Francisco Jung Institute, interview series on Psychological Types and The Red Book. Scilla Elworthy, Ph.D., Executive Director of Peace Direct, London. Laurence Hillman, Astrologer on archetypal perspectives. Jacob Needleman, Ph.D., San Francisco State University faculty, on Money, Why Can’t We be Good? and What is God?. China Galland, Longing for Darkness, on the Black Madonna. Christopher Vogler, author of The Writer’s Journey, from the anthropological themes of Joseph Campbell. Robert Moradi, M.D., Jungian Analyst and Board Certified Psychiatarist, LA Jung Institute Faculty, Assoc. Clinical Professor of Psychiatry at the UCLA School of Medicine, on Dreams and Dreaming. 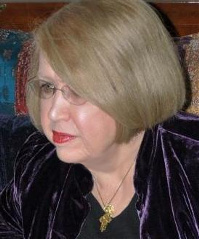 Jean Shinoda Bolen, M.D., Certified Jungian Analyst, on the Divine Feminine. Dianne Juhl, Pacifica Academic and Jungian Analyst-in-Training, on The Feminine Face of Money. Susan Rowland, Ph.D., seminal research, C.G. Jung and the Humanities, Jung as a Writer, and Jung’s widespread influence on our culture (three interviews). Joan Marler, Director, Institute of Archaeo- mythology on Marijas Gimbutas and the Goddess Era. Sissa Nelson, M.A. on Liminality, Anne Bach M.A., on Creativity. James O’Dea, cultural peace leader and social healer, on Creative Stress. Tom Singer, M.D. on Psyche and the City and The Cultural Complex (two interviews). William C. Pack, USA Book News Best Books Finalist, author of The Bottom of the Sky. Murray Stein, Ph.D. and Jungian Analyst, Zurich, Switzerland, on counseling therapies (two interviews). Michael Conforti, Ph.D., Assisi Institute on “Forms and Patterns” and ‘Dreams”(two interviews). Emily Hines, Chief of Peace, The Shift Network; and Eric Kasum, Imagine Peace Conference 2011, Berkeley, CA. Dr. Eugene Tazo, Christian Mysteries. Brad Kammer, MFT, Somatic Experiencing: Trauma. Elixir of Lake County: the New Wine Country of Northern California! 1. (7-10-2013) Debra Sommerfield, President of Lake County Winegrape Commission Introducing the Radio Series: "Elixir of Lake County". 3. (7-24-31-2013) To be announced soon through news media and Lake County newsletters. 4. (8-7 and /14-2013) Nick Buttita, Rosa D' Ora winery and vineyard, Chairman of the Board, Lake County Winery Association, re the Winery Association and Rosa D' Ora on winery operations.